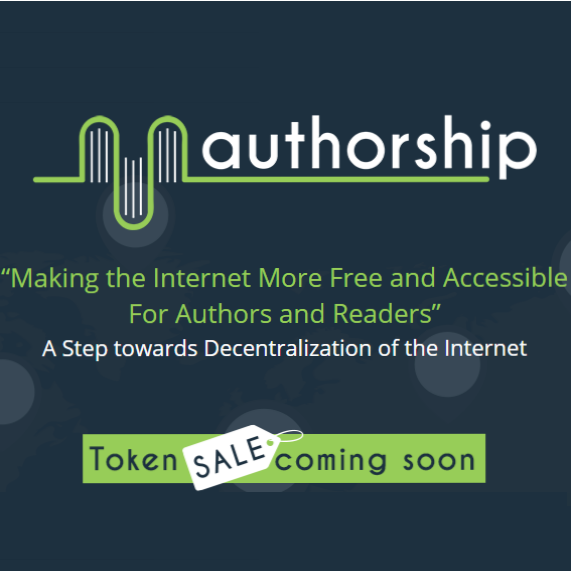 Authorship.com has finally opened its doors to the public by announcing the date for initial coin offering (ICO). The much awaited ICO to buy the crypto-currency is a golden opportunity for investors and advertisers to benefit from the project that is a big step towards fulfilling the long-held dream of decentralizing the internet. Get ready for the ICO, buy ATS tokens and play your role in making this promising idea of a book friendly future a reality.